Der Artikel Jon Cleary: Dyna-Mite wurde in den Warenkorb gelegt. After winning his first GRAMMY and constantly touring across the world, Cleary returns with his ten-song LP 'Dyna-Mite' out July 13 on Thirty Tigers. Cleary's fingerprints are omnipresent throughout, with his hip-shaking piano playing in the spirit of the Crescent City. The R&B/funk/soul-imbued movable feast epitomizes his moniker of multi-instrumentalist, too. "I'm a jack of all trades, and a master of none," says Cleary jokingly. And after writing every song on the album but one, it made sense for him to look to his talented group of New Orleans musicians to round out the roots and emotion of 'Dyna-Mite'. 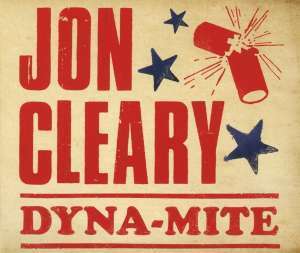 Recorded at Music Shed Studios, The Parlor and Cleary's own Funk Headquarters studio in the historic Bywater neighborhood of NOLA, 'Dyna-Mite' shows off Cleary as the virtuoso talent once described as "nothing short of amazing" by Relix. Rolling Stone said Cleary's music is "full of hooks and syncopation descended from James Booker and Professor Longhair", and his career includes writing and performing with B.B. King, John Scofield and Taj Mahal, playing in Bonnie Raitt's band for ten years, and also appearing alongside Norah Jones, Ben Harper, Alison Krauss and more on Raitt's album 'Bonnie Raitt and Friends.